Keep on laughing: 5 ways to hold back the years. William Shakespeare once famously said, “With mirth and laughter, let old wrinkles come”! One can assume that he meant the more you laugh, the longer you’ll live. If only it were that simple! However, it is generally accepted that positive and happy people tend to be healthier and, therefore live longer. There are some definite, physiological changes that happen when we laugh; laughing triggers the release of the feel-good endorphins which encourage feelings of happiness. Additionally, secretion of the stress hormone, cortisol, is reduced which helps to minimise any pain we’re experiencing – and on-going pain can makes us look and feel older. Laughing a lot may be one of the keys to living longer but what we put into our bodies can also hold the key to a long and healthy life. 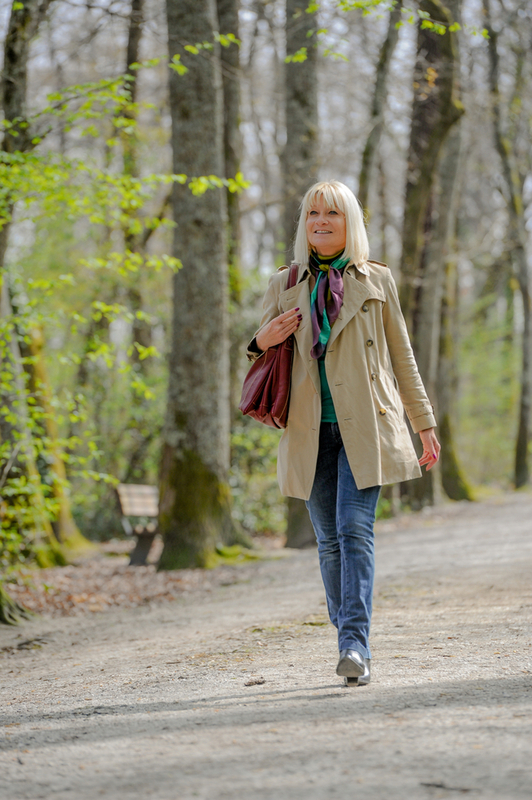 Here are our top five anti-aging tips to set you on the path to looking and feeling younger! Becoming more forgetful doesn’t have to be an inevitable part of the aging process. Indeed, many people continue with high-powered jobs, or mentally challenging hobbies well into old age. It’s a case of use it or lose it – keeping your brain stimulated is really important. And feeding it with essential fats also helps. Your brain is actually the fattest organ in the body, boasting a whopping 60% of all body fats, with a large percentage being essential fats or the omega 3’s. And it is these smart fats which may be involved in encoding memories. 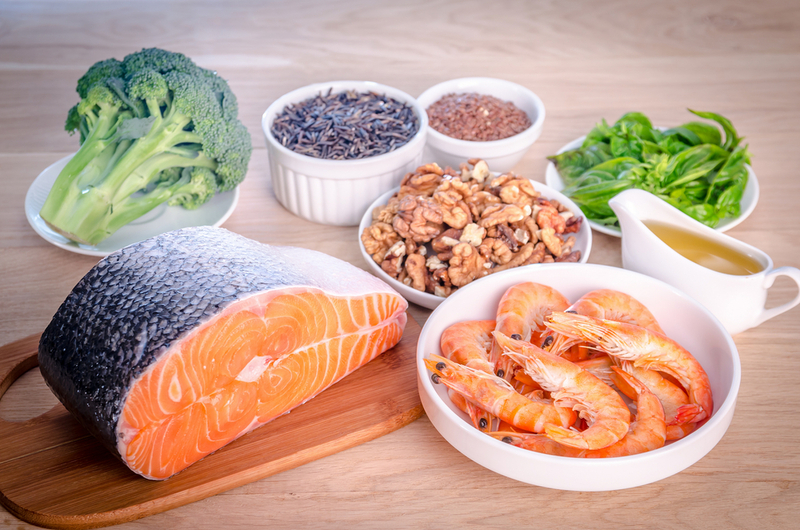 It makes sense, therefore, to ensure you’re eating sufficient omega 3’s in your diet every day if you can, such as salmon and mackerel. If you’re vegetarian, or you don’t like fish, make sure you’re eating nuts, particularly almonds, and seeds. You can also take a supplement with around 1000 mg of fish oil, or the vegetarian equivalent flaxseed, every day to give your brain a boost. Whilst oxygen is, literally, essential for life, it is also responsible for the aging process. Why does a car rust or an apple go brown when exposed to the air? It’s all down to oxygen and this is why the body requires antioxidants to protect itself from the aging process. 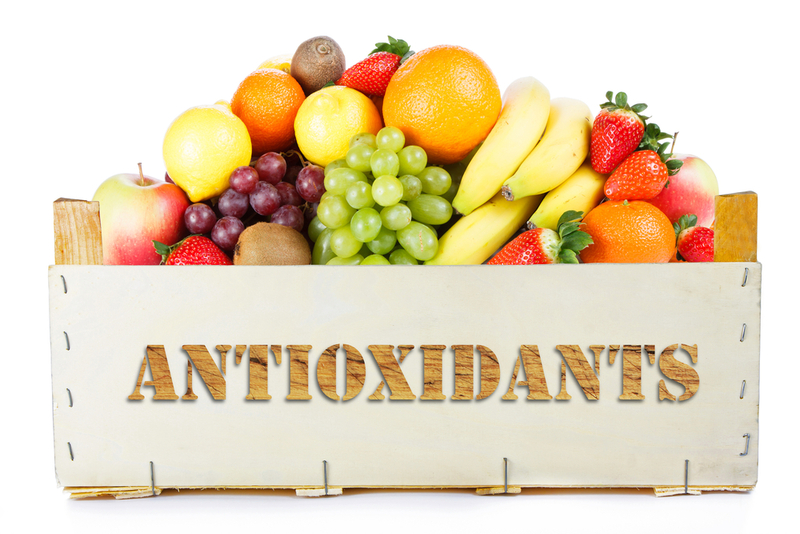 The body houses powerful antioxidant systems to help combat free radicals, generated by oxygen. However, additional antioxidants are provided by the foods we eat, particularly fruits and vegetables. The more colourful fruits and vegetables are especially potent and provide an abundance of antioxidant nutrients. Make sure you include some berries (the strawberry season is nearly upon us! ), broccoli, kale, butternut squash, peas, carrots – the list is endless – everyday. How many days a week can you exceed the recommended five? Why not aim for nearer 10 for an even greater antioxidant hit! Keeping physically active is as important as keeping mentally active! However, many people find their joints become less flexible and more painful as they get older, therefore causing them to be less active – it’s ‘chicken and egg’. However, you don’t need to spend hours in the gym or pounding the pavements; taking a brisk walk – at least 20 minutes daily – will elevate your heart rate and get the blood moving around the body. This in turn helps to stimulate the immune system, so hopefully you’ll get less colds, and it will help maintain a well oxygenated supply of blood to the brain. If you’re struggling with aching joints or muscles or you find that gardening is becoming too uncomfortable, then the herb Devil’s Claw, which is readily available in health food stores, is a great anti-inflammatory and can help to ease any pain you are experiencing. The most obvious outward sign of aging is wrinkling skin – something we all dread! However, your skin is primarily a reflection of what’s within. Therefore, you can prevent some of those dreaded wrinkles by eating some of the right foods. Vitamin C, the workhorse of the vitamin community, is important for collagen production. Collagen is the body’s most abundant protein and is an essential part of its structure, and especially your skin. Unfortunately, the production of collagen declines after the age of 30, so if you want to stop the wrinkles you need to take steps to combat this effect. Whilst a great facial cleansing and moisturising routine is essential, anti-ageing from the inside also plays a significant role on how your skin looks on the outside. Foods rich in vitamin C include citrus fruits, strawberries, peppers and green vegetables, so make sure they are included in your daily diet. Additionally, you can supplement collagen itself in tablet or powder form, alongside vitamin C, as a daily top up. Easier said than done right? It is estimated that as much as 60% of the British population are not getting enough sleep. Of course, we all differ in terms of our sleep needs but achieving seven to eight hours a night seems to best suit most people. There are many different sleep remedies. However, many people find that putting some lavender oil on the pillow or feet before bedtime can be really beneficial. Additionally, foods which contain the amino acid ‘tryptophan’, which helps to make melatonin – our sleep inducing hormone – are best eaten in the evening. These include fish, turkey, cottage cheese, avocados and oats. Interestingly, bananas are the best sleep-inducing foods. And as always, avoid caffeinated drinks and instead enjoy some camomile tea before bedtime. So age more gracefully by integrating these top tips into your everyday life. But whatever you do – remember to keep on laughing! ← Five food swaps your body will love!